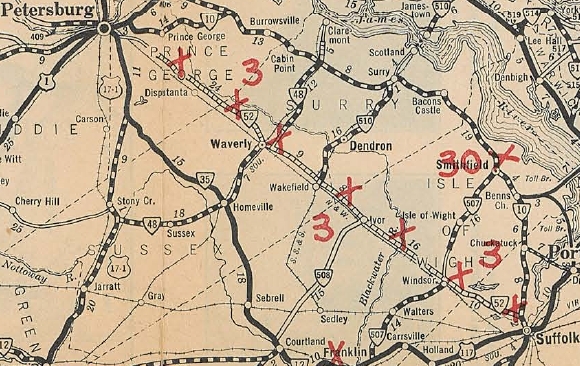 In Aug 1929 (CTB), VA 52 was extended west 3.5 miles to New Bohemia. Also, VA 52 was rerouted between Wakefield to Zuni to use current US 460. The original route used SRs 628, 600, and 616 to below Ivor, then SRs 622 and 614 to Zuni. The SR 616 piece became an extended VA 508. A small bit of the SR 628 piece became/remained VA 510. Also in this timeframe, VA 52 was given US 460's routing east of Windsor instead of today's SR 636. 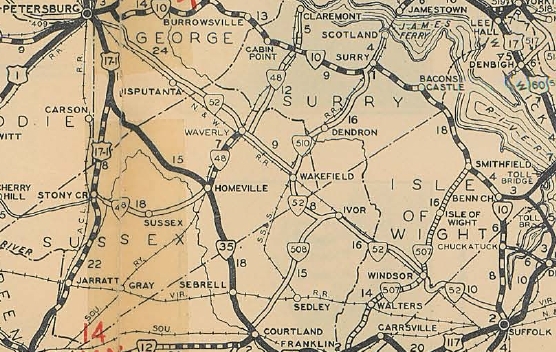 In July 1933 (CTB), VA 52 was renumbered as US 460. VA 52 #2: Appeared in July 1933 as a renumbering of VA 505, running from US 58-460 (now VA 337) Suffolk south to the North Carolina line. In October 1934, VA 52 was renumbered as an extended VA 10. Today it is VA 32 except it used Saratoga Street in central Suffolk. 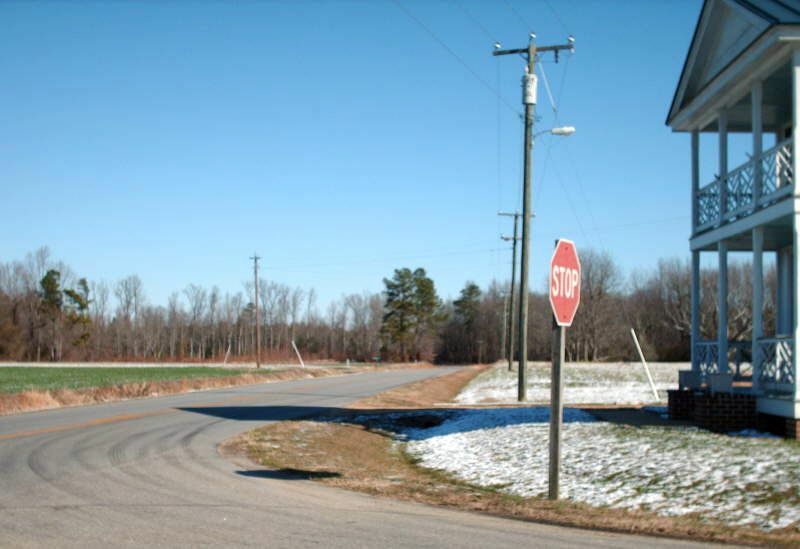 It is surprising such a direct route from Petersburg to Suffolk was not in the original highway system, even though the railroad was already established and the towns existed. 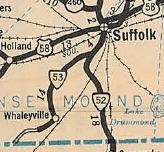 Current VA 35 and VA 10 were instead established as the corridors from the Tidewater area to Petersburg and ultimately Richmond.